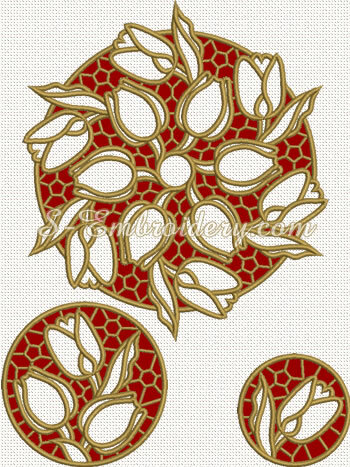 A set of 3 cutwork lace tulip embroidery designs. 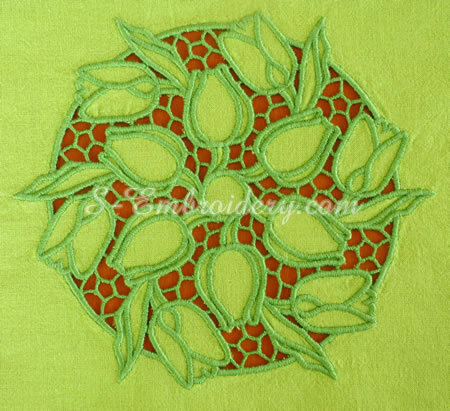 You can use this cutwork (Richelieu) set in different embroidery projects. The designs are available in 3 sizes. The large version of the largest design has a size of 6.5 x 7.2 inches (165x183 mm); the medium is 5.91 x 6.57 inches (150x167 mm) while the small measures 5 x 5.57 (127 x 142 mm) and will fit in a 5x7 (130x180) hoop. The number of stitches is between 36,400 and 27,200. The other 2 designs in this set are smaller and even the large version will fit in a 4x4 hoop. 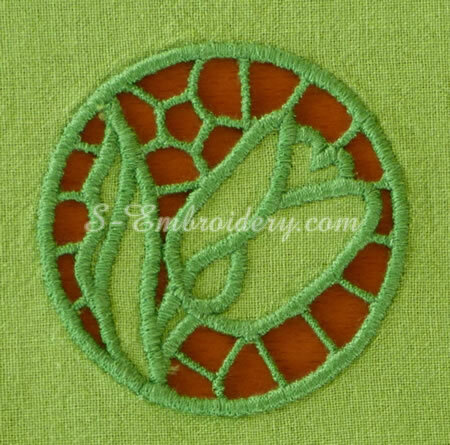 You receive 3 machine embroidery files and 2 PDFs with design information and instructions for doing cutwork lace. Note: The table runner, featured on this page was created with the large version of the set. 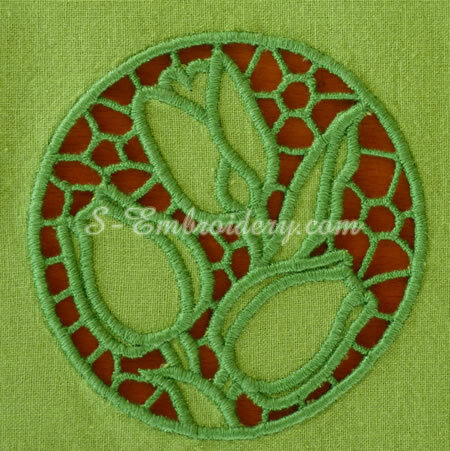 The size of the central cutwok tulip embroidery is approximately 6.9 x 6.9 inches (17.5 x 17.5 cm). 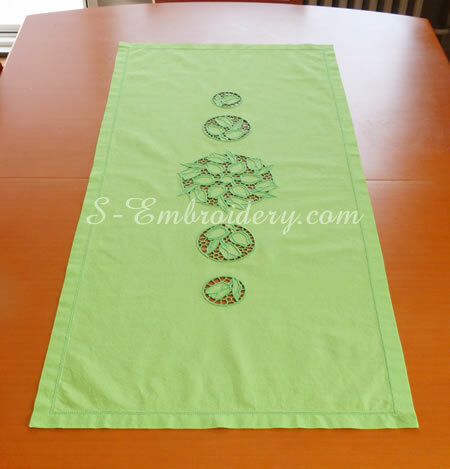 The size of the table runner is 38.2 x 17.3 inches (97 x 44 cm).